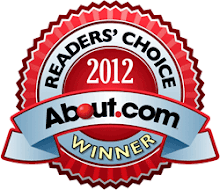 Edited to add on March 29th, 2011: The giveaway contest is now closed. No more entries are being taken at this time. First, I have to tell you that I instigated this giveaway. Some (not all) giveaways I host I do as a favor or I am asked by a publisher to promote their newest book. I feel so strongly about this talented young designer that I initially contacted Hannah to see if she would mind if I did a feature on her here on the blog. She then offered to provide a fantastic giveaway to include with my post. So with that being said, here it goes. I have loved Hannah Fettig's designs for forever. She is incredibly talented with her knitting in both a serious and a playful way which isn't always a common element. Her book caught my eye as she burst onto the scene a few years ago. 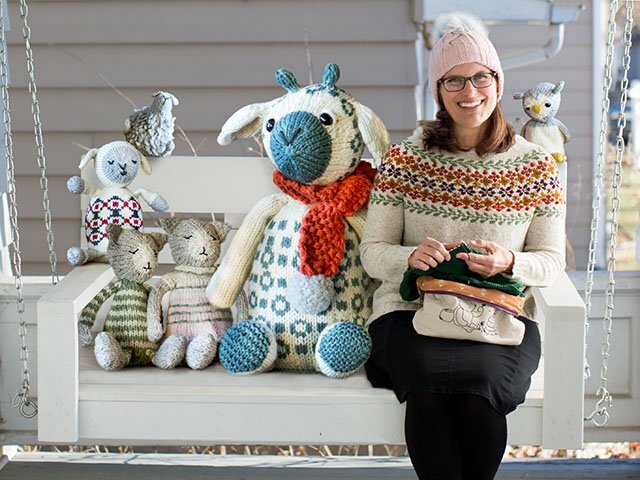 Hannah's book is titled, Closely Knit, and it is a comprehensive collection of patterns for all of the needs, people and places in your life including women, men, kids, babies, home decor, sweaters, accessories, toys.... 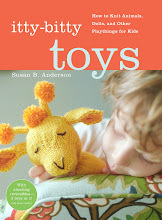 It is a great book with clever patterns and it is worth your while to add this one to your library. Hannah's blog is beautifully done with constant knitting inspiration, new patterns for download (check out her sidebar with downloadable patterns), and an insight into her designing life. 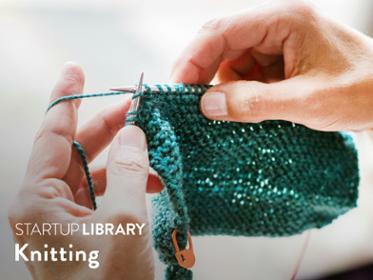 I love popping over to Knitbot and I always leave feeling happy and wanting to knit. She is joyful. I love that. I would literally like to knit every one of Hannah's patterns if I had the time. Some of her sweater patterns are the most popular sweaters on Ravelry with thousands of finished projects being posted. She has had great success and popularity with her cleverly constructed, clean lined, stylish but yet practical garments. Every one of her designs is something I would wear everyday. That is a rare find in a designer. Take a look at this and this and this and this and this! I love them all and more. Plus, she is one of the few truly successful indie designers out there. We should all be supporting that movement. 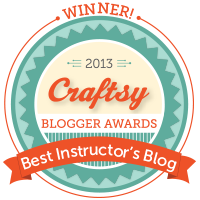 Click here to visit Hannah's blog, Knitbot! Click here to see all of Hannah's designs! 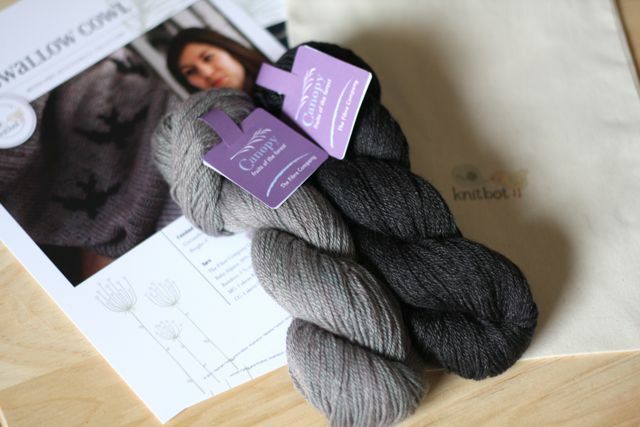 Click here for Hannah's Ravelry Group, Knitbot Knitters! Aren't these absolutely gorgeous and fun? I am in love with these patterns and the yarn is some of the most luxurious and lovely fiber around from the Fibre Company. Can you believe it? We are so lucky to have this offer today. To enter, please leave one comment on this post that includes your Ravelry id or an email so I can contact you to get your mailing address. Please do not email me to enter. In a few days I will be selecting one winner. Good luck! Don't miss out on this one, it is really special. Thank you to Hannah for offering the very generous prizes for you. Let the comments begin! p.s. I posted a new video on youtube last night. I will post more about it later here and on Spud says! but click here if you want a sneak peek! p.p.s. 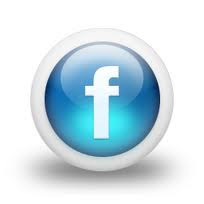 Please read this post from Kristin Nicholas and consider.... Kristin's honesty is so refreshing. I would love love LOVE to win this package! Thanks for doing this Susan & Hannah! What a great giveaway. I'd love to have these patterns. I love Hannah's new fox hat so adorable!! So cute! I love the Woodlands theme. I just knit a black bear toy, and have really been charmed lately by "wild animal" patterns. Thanks for hosting this wonderful giveaway! Wow, I love these patterns. Holy Smokes! Sometimes you just get everything you want ~ this morning I was in need of knitty goodness and you plopped it right in my lap. It doesn't hurt that there is a chance for a lovely prize package! I bought the patterns the day that they came out, but I would love to get the yarn and cast on for the swallow cowl for my mom! what beautiful things. thanks again for such fun giveaways. Oh no. My new downfall! I love Hannah's designs too. They are very unique, a quality that isn't easy to attain. How exciting! I am going over right now to check out the patterns. What great looking projects! I'd love to win this. Lovely...thanks for the nice info on this designer. What an awesome contest!! I love Hannah's patterns!! On Ravelry I'm jrlaurie. I hope you need this information, meaning, I won! Thanks for the chance..love the fox hat! Oh! I'm already a fan!!!! I have Closely Knit, and I've been daydreaming about her jackets/sweaters lately. Thanks for the chance to win! 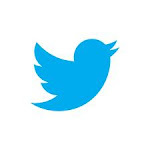 I'm seedesigns on Rav. Gorgeous. Thanks for offering such nice stuff! What darling patterns! I love Bunny Beret, Fox Cap and Cowl. I laughed out loud when I read about her finding a UFO under her bed. I dread looking under mine! What a great introduction to an obviously talented artist. I would love to knit her patterns and Know I would enjoy the yarn. Thank you for featuring her on your blog and Hannah...."You go girl!" Yay! 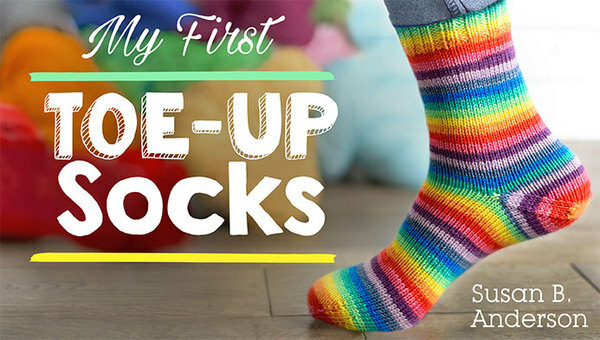 I've found another knitting blog to love. Thanks for the contest again! I absolutely love Hannah's patterns. 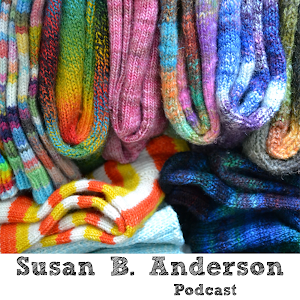 Her book was one of the first knitting books I bought after the itty bitty books. I even have one of her patterns on my needles now. I particularly love the fox cap! What an awesome giveaway that I cannot pass up. I'm Kepanie on Ravelry. Good luck to everyone. Thank you for sharing Hannah with us. I was not familiar with her designs. I'm in love with those foxes! Darling! "Here's to YOU and Hannah" ( my niece is also named Hannah". I love her stuff!!! That bunny beret is adorable! Hannah's designs are amazing. I didn't know about the new projects. I want to made them all too! I've been drooling over her sweaters for so long now. I really need to jump in and try one! totally LOVE these patterns! Thanks for another wonderful giveaway! I love the patterns and the yarn. 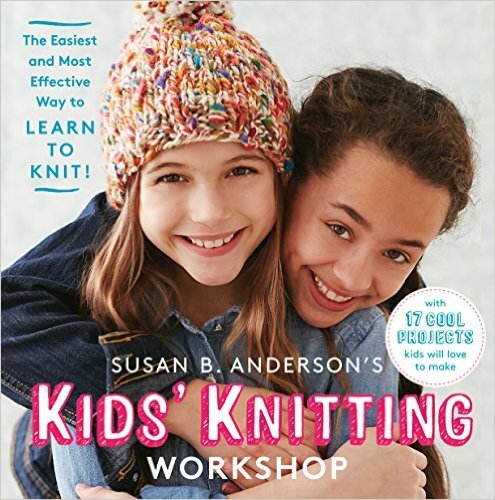 I love the Closely Knits book - used it for some Holiday gifts this year. Thanky ou for the opportunity- griffgirls on rav. What a treat it would to recieve this give away. I have the Hannah's book and it is one of my favorites. Thanks for the oppertunity. Oh, my! I would love to win this!! Gorgeous patterns!! Wow - if nothing else, this introduced me to another great designer. Thanks! If nothing else, this introduced me to another great designer. Thanks! I love reading about a favorite designer on another favorite designers blog! Great giveaway! SO awesome that the yarn being offered is for the cowl, because of all 3 patterns, it's my top favorite :) !!! SUCH a lovely giveaway. Hi, Susan! Great to see you featuring Hannah's work--I follow her blog & Twitter and have also fallen in love with her stuff! Very lovely patterns! Ravelry id is heatherlefebvre. Am still drooling over the On the Farm book. Would love to win! I've been pining over one of Hannah's sweater designs for the longest time. What a great giveaway! I'm working on Hannah's featherweight cardigan at the moment - will be my first proper garment! I love all of Hannah's patterns too..that little element in each of them that makes them a bit different. Yep. That sells it for me! WOW! Living in southern Cali, I miss the woodlands intensely! 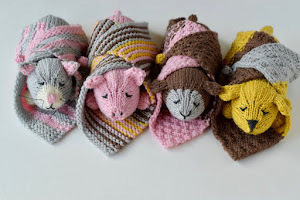 Would love to knit some of these! Thanks for the opportunity Susan and Hannah! I like Hannah's designs too and that's very generous of her! Aberdonian on rav. These look fun! Thanks Susie and Hannah! Love Hannah's work, she is fab! Love Hannah's patterns so much! 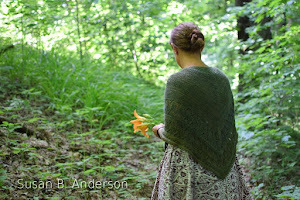 I'm ready to cast on for the Effortless Cardi - gorgeous design...Please enter me in the draw. This is such a great giveaway. I would love to win. Hope I'm the lucky one this time. Love, love, love Hannah! Thank you both for such an awesome giveaway! I love Hannah's designs! Thank you for this amazing giveaway! I love Hannah's designs.I love the Yoked Cardigan.I want to make it for my grand girls.Most of Hannah's designs are wearable & wantable(a word? ).I would love to win this Give A Way.Thanks,Susan! So beautiful! Thanks for the chance to win. I love her patterns, and have a couple but not the cowl and it is lovely. Right now I am really into cowls. Thanks Susan for the chance to win. I love Hannah's designs. I have made her Featherweight cardi and hope to make a few more designs. Thanks so much for the fun giveaway, Susie and Hannah! Hannahs designs are definitely clean and contemporary, approachable designs. I'd love to win! Thanks to you both for holding this giveaway. I've always loved Hannah's patterns. What a great giveaway! Also love the youtube video - makes me want to learn how to crochet! drooling -- I adore Hannah's patterns! MadMartiKnits on Rav. Such a great giveaway! I love the patterns. What an amazing giveaway! I hope I win :) Im tera43 on ravelry or terarowe@gmail.com thanks for the chance! I have loved Hannah's work for a long time. Everything is beautiful. OMG just gorgeous and clever! Love the colors too! LOVE her patterns! So beautiful! I just put her as a favorite designer on my ravelry acct. What a great giveaway! how great! i've been a fan of hannah's designs for a while, and i love her blog. thanks for the giveaway! Love the designs! Would love to be lucky enough to win this contest! I'm a huge fan of Hannah's designs, particularly her sweaters! I love the woodland theme! My email should be linked in my Blogger info. So pretty! I love all those patterns too! I love Hannah's designs, and would love to win this package. I love the patterns and have admired Hannah's work for a long time. Alright now, if I am ever to win a giveaway--LOL-- it has to be a Hannah giveaway!! I knit and adore her Effortless Cardigan, and I am now working on the sleeves of my Scouting Jacket, again, one of Hannah's patterns. I love her stuff! I would love to win this giveaway! I like the bunny beret--what a fun and different pattern! I've been wanting to try the Canopy yarn, too. 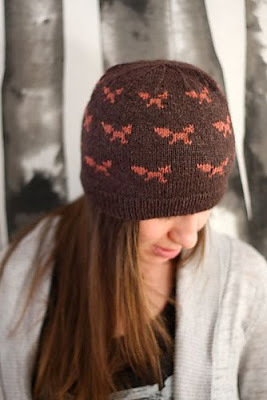 I have to have that fox hat and I love the swallow cowl! I'm pretty sure that my daughter would love the bunny hat . . . gorgeous things all! Love the patterns. Can I suggest a squirrel? I have also admired Hannah's designs. I LOVE Hannah Fettig! I so want to win this!! Sweet! Please enter me. swellest on ravelry. Thanks for sharing and thanks for the giveaway. My Ravelry ID is rmvandy. I love the patterns as well as Hannah's designs. I love Hannah's patterns and am teaching the students in my school to knit. It would be great fun to have them make these patterns. Our school backs up to a woodland area and we have a butterfly garden. The kids feed the deer and birds all winter. Thanks for making this offer!! I love these patterns. I am helping to teach the kids in our school to knit and they would love all these patterns, too. Our school backs up to a woodland area where we have deer, foxes and beautiful birds. The students feed them all year long. That fox cap is ADORABLE! I must get that pattern - unless I win it first, that is! love the swallow cowl! what a great giveaway! Beautiful! I am looking forward to browsing through this designers patterns! 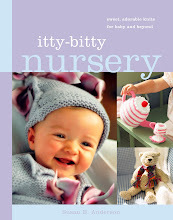 Wonderful patterns amd a great giveaway too! Wow! This is such a lovely and generous giveaway, I would love a chance to win, thanks! I am ugliducklyn on Ravelry. Thanks so much! These patterns are so cute. How wonderfully fantiastic! I love how she incorporated the woodland theme into each project! I love the swallow cowl! The are gorgeous - what a great chance to win something so beautiful! My first sweater is going to be a Hannah Fettig: if I can pick one! Thank you for yet again introducing us to a great fiber artist! Love them all, just need more time to knit! What great designs!!! Thanks for the excellent giveaway!!! Super! Thanks for the giveaway. Thank you for introducing me to Hannah's blog and patterns, they look wonderful! The Swallow Cowl looks like a fun knit. great new patterns! would love to win! I love Hannah's site and designs! Wow, beautiful! 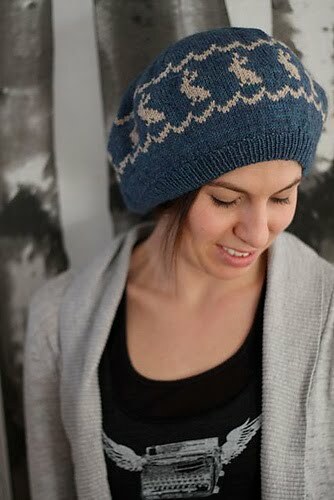 I love Hannah's work and that yarn looks amazing. I love Hannah and adore how she bundles up her kits in her cute bags! 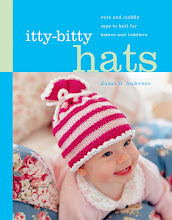 Would love to win this, the patterns are beautiful and the yarn looks wonderful! Beautiful projects and yarn. It would be wonderful to win them. I'd just love to win that beautiful stuff! Great patterns!!! I just love her classic style! 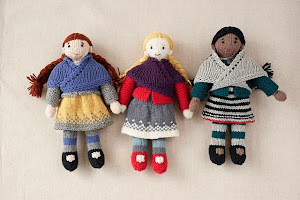 I'm a fan of Knitbot as well - Hannah's designs are wonderful. I love Hannah's designs - and this new collection is very cute! Lovely giveaway. Thanks, Susan and Hannah! I have made one of Hannah's sweaters and can't wait to make more. She is a great designer, and her things are so basic and so much fun. Thank you both so much for your generous offer! She is such a great designer, I have made one of her sweaters and can't wait to make more. I would love to win all of this. The projects are wonderful. Great patterns and so sweet patterns! Always nice to see what people are doing and a chance to get great patterns! what a lovely give away....Hannah is one of my favorites! Love, love, love her patterns! In fact, one of the only paid for patterns I own is the "Effortless Cardigan". I gotta get busy knitting all these great patterns!!! Oh my gosh!! Thank you for featuring Hannah. 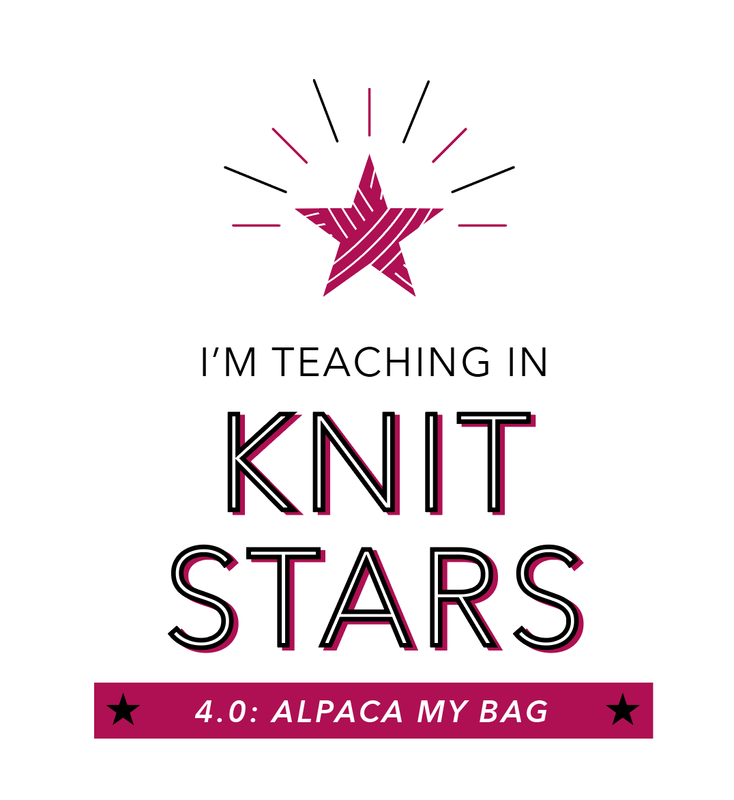 My list of knitting projects just got longer!! I also love Hannah's designs - and the new collection is adorable! I'm knitting a knitbot project right now, and I have knitted 2 of your's ♥ Susan! This is so exciting, whoever wins is a lucky duck! What a great prize! I have always loved her work. Thank you for having another awesome giveaway. What a great giveaway! I love Hannah's patterns!! Congrats on the new books & Hannah has some gorgeous patterns. Oooh, what a lovely give away. Please enter me and I will be popping on to Hannah's Ravelry pages straight away! that yarn just looks so yummy! I just saw the cowl pattern on ravelry (rav id kguennette) and thought it would be awesome for my morning dog walking. thanx for all the awesomeness! Hannah's patterns are amazing, and she is incredibly kind, having replaced a pattern that I had lost without me even asking her. Love the patterns - this looks like a must have group! I recently saw the patterns on her blog and loved them. I would be thrilled to win this drawing! 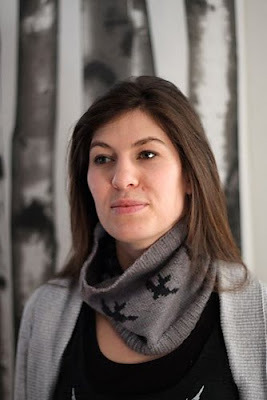 I love hannah fettig and think her designs are wonderful, especially the swallow cowl! I'm l i n g g a n (no spaces) on ravelry. Hannah's designs are lovely. The swallow cowl looks like a fun project. I love Hannah Fetig! Thanks for the contest! Love those hats! And I have granddaughters who would love them, too!